Abstract: A single server can no longer handle all of the data of a machine learning problem. Today’s data is fine granular, usually has the temporal dimension, is often streamed, and thus distributed among several compute nodes on premise or in the cloud. More hardware buys you only so much; in particular, the underlying models and algorithms must be capable of exploiting it. We focus on distributed optimization algorithms where samples and features are distributed, and in a different setting where data is streamed by an infinite pipeline. Algorithms and convergence analyses will be presented. Fine granular data with a time dimension also offers opportunities to deep learning models that outperform traditional machine learning models. To this end, we use churn predictions to showcase how recurrent neural networks with several important enhancements squeeze additional business value. Bio: Diego Klabjan is a professor at Northwestern University, Department of Industrial Engineering and Management Sciences. He is also Founding Director, Master of Science in Analytics and Director, Center for Deep Learning. After obtaining his doctorate from the School of Industrial and Systems Engineering of the Georgia Institute of Technology in 1999 in Algorithms, Combinatorics, and Optimization, in the same year he joined the University of Illinois at Urbana-Champaign. In 2007 he became an associate professor at Northwestern and in 2012 he was promoted to a full professor. His research is focused on machine learning, deep learning and analytics (modeling, methodologies, theoretical results) with concentration in finance, insurance, sports, and bioinformatics. Professor Klabjan has led projects with large companies such as Intel, Baxter, Allstate, AbbVie, FedEx Express, General Motors, United Continental, and many others, and he is also assisting numerous start-ups with their analytics needs. He is also a founder of Opex Analytics LLC. Abstract: Recent breakthroughs in cancer immunotherapy and decreasing costs of high-throughput technologies sparked intensive research into tumour-immune cell interactions using genomic tools. However, the wealth of the generated data and the added complexity pose considerable challenges and require computational tools to process, analyse and visualise the data. Recently, a number of tools have been developed and used to effectively mine tumour immunologic and genomic data and provide novel mechanistic insights. In this talk I will first review and discuss computational genomics tools for mining cancer genomic data and extracting immunological parameters. I will focus on higher-level analyses of NGS data including quantification of tumour-infiltrating lymphocytes (TILs), identification of tumour antigens and T cell receptor (TCR) profiling. Additionally, I will address the major challenges in the field and ongoing efforts to tackle them. In the second part I will show results generated using state-of-the-art computational tools addressing several prevailing questions in cancer immunology including: estimation of the TIL landscape, identification of determinants of tumour immunogenicity, and immunoediting that tumors undergo during progression or as a consequence of targeting the PD-1/PD-L1 axis. Finally, I will propose a novel approach based on perturbation biology of patient-derived organoids and mathematical modeling for the identification of a mechanistic rationale for combination immunotherapies in colorectal cancer. 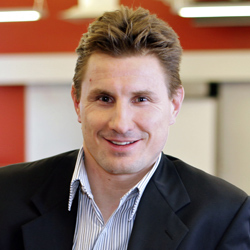 Bio: Zlatko Trajanoski is a professor for bioinformatics at the Division of Bioinformatics, Biocenter, Medical University of Innsbruck, Austria. Research in his laboratory focuses on deciphering tumour–immune cell interaction using computational approaches and developing analytical tools for precision immune-oncology. His work was instrumental for the elucidation of the role of the adaptive immune system in human colorectal cancer and has led to the development of a novel immune score for the stratification of patients. His recent work focuses on the identification of mechanisms of intrinsic and acquired resistance to immunotherapy in colorectal cancer using combined experimental/computational approaches. Abstract: We are in the big data era. Multi-omics data brings us a challenge to develop appropriate bioinformatics approaches to model complex biological systems at spatial and temporal scales. In this talk, we will describe multi-omics data available for biological interactome modeling. Single cell transcriptomics data is exploited and analyzed. An integrative interactome model of non-coding RNAs is built. We investigated to characterize coding and non-coding RNAs including microRNAs, siRNAs, lncRNAs, ceRNAs and cirRNAs. Bio:Prof. Ming Chen research work mainly focuses on the bioinformatics, systems biology, computational and functional analysis of large scales biological datasets. They published over 100 papers on peer-viewed journals such as Bioinformatics, Nucleic Acids Research, Briefing in Bioinformatics, etc. with H index over 31. He teaches courses such as Bioinformatics, Data Mining, and served as the instructor to the ZJU-China iGEM team who once obtained Reginal Winner and the 2nd Runner Up in iGEM Jamboree 2011. (http://www.cls.zju.edu.cn/binfo/). Abstract: There has recently been much interest in extending vector-based word representations to multiple languages, such that words can be compared across languages. In this paper, we shift the focus from words to documents and introduce a method for embedding documents written in any language into a single, language-independent vector space. For training, our approach leverages a multilingual corpus where the same concept is covered in multiple languages (but not necessarily via exact translations), such as Wikipedia. Our method, Cr5 (Crosslingual reduced-rank ridge regression), starts by training a ridge-regression-based classifier that uses language-specific bag-of-word features in order to predict the concept that a given document is about. We show that, when constraining the learned weight matrix to be of low rank, it can be factored to obtain the desired mappings from language-specific bags-of-words to language-independent embeddings. As opposed to most prior methods, which use pretrained monolingual word vectors, postprocess them to make them crosslingual, and finally average word vectors to obtain document vectors, Cr5 is trained end-to-end and is thus natively crosslingual as well as document-level. Moreover, since our algorithm uses the singular value decomposition as its core operation, it is highly scalable. Experiments show that our method achieves state-of-the-art performance on a crosslingual document retrieval task. Finally, although not trained for embedding sentences and words, it also achieves competitive performance on crosslingual sentence and word retrieval tasks. Bio: Bob is an assistant professor of Computer Science at EPFL, where he heads the Data Science Lab. His research aims to understand, predict, and enhance human behavior in social and information networks by developing techniques in data science, data mining, network analysis, machine learning, and natural language processing. He holds a PhD in computer science from Stanford University.